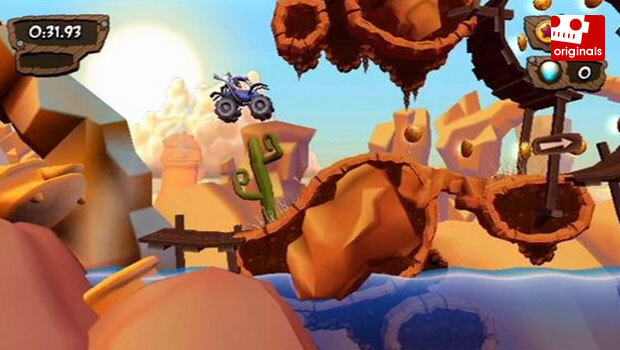 While RedLynx may have found its biggest success with Trials HD, the truth is that its upcoming WiiWare title MotoHeroz has a longer history. "MotoHeroz first saw the light of day as a prototype for a mobile phone game," RedLynx creative director Antii Ilvessuo tells me, noting that this was years before Trials HD was even a consideration. That particular iteration of the title never saw the light of day "for variosus reasons," but the developer was shrewd enough not to let the concept die. "Fast forward a few years later," Illvessuo continues. "The downloadable console games market was taking off and we were riding that wave with Trials HD. This market seemed a perfect fit for smaller developers like us, so even as we were working on Trials Evolution, we also wanted to branch out into other downloadable console markets with another development team, and we chose WiiWare as a natural fit." 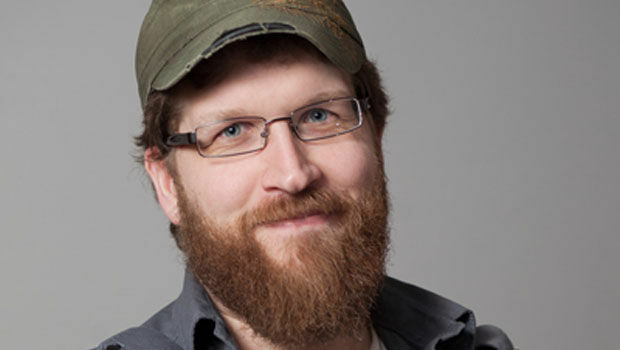 Ilvessuo (pictured below) started RedLynx with his brother, Atte in 2000. Since then, the Finland-based studio has released over 100 games on multiple platforms. MotoHeroz, which is out tomorrow for WiiWare, would be its first for Nintendo's current console. "Everyone on the project is a huge Nintendo fan," he explains. "Such big fans, in fact, that we had to update our company policies to define what is 'appropriate' Bowser cosplay." DESTRUCTOID: What's your best MotoHeroz pitch? What is it, and who's going to be playing it? Ilvessuo: MotoHeroz is racing game thrills with platformer charm! Who’s going to play it? Everyone who owns a Nintendo Wii and gets a chance to try it will be playing it, we are sure of that. The game is incredibly popular with anyone that tries it– journalists, testers, the folks at Nintendo, Finnair stewardesses, you name it. MotoHeroz is your first Wii game, and you've actively been developing games for other platforms this generation. What took so long? Was it a case of the right idea at the right time? MotoHeroz first saw the light of day as a prototype for a mobile phone game, long before Trials HD was a gleam in Uncle Bill’s eye. That prototype never went into production for various reasons, which is actually a pretty common thing at a game developer, but it was a cool idea so we kept it on the shelf. Fast forward a few years later. The downloadable console games market was taking off and we were riding that wave with Trials HD. This market seemed a perfect fit for smaller developers like us, so even as we were working on Trials Evolution, we also wanted to branch out into other downloadable console markets with another development team, and we chose WiiWare as a natural fit. We didn’t want to just take an existing game and just put it on WiiWare, so we went back to our magic closet full of game concepts and prototypes and found the best fit for the unique controls and technology of the platform. The earlier MotoHeroz demo was the best fit, so we re-booted the project, coding mostly from scratch for the Wii but with the basic game mechanic in mind, tuning and polishing everything to perfection for the platform. That turned out to be fairly easy, since everyone on the project is a huge Nintendo fan, such big fans in fact, that we had to update our company policies to define what is “appropriate” Bowser cosplay. How does MotoHeroz take advantage of the Wii's unique controls or functionality? True to our style of games, the controls are smooth and simple. You hold the Wii Remote horizontally – wrist-strap securely in place of course – and use one button to accelerate, one to brake, and the D-pad to lean. Then if your buggy ever gets flipped over, just flick your wrist (the most natural motion in the world) to right your buggy again. Usually we don’t even have to explain how to flip the buggy back over, people just do it naturally. Dogs don’t though. If you are playing MotoHeroz with your pets, you’re going to have to help them out with that part. Can you explain how the game's single player adventure works, and estimate how long it might take the average gamer to get through that? You control Gene McQuick, a new driver in the Great World Race of Gema, where the action in MotoHeroz takes place. He is doing everything he can to win, but he clashes with the other drivers, in particular the villain who will do anything to win. How long it takes to get through the single player game will depend on how well you learn to drive your buggy. The game is not just going to roll over and let you win. You are going to have to develop some skills! Then you can prove you have those skills in multiplayer! One final note is that the player isn’t forced to sit through hours of dialogue, we wrote just a few lines that are like 100 kilograms of premium ooze distilled into one gram of tutorial along with a few jokes. And it’s easy to skip it altogether and get on with the game, although you’ll never hear Handsome Hans ’Pro Tip about parachute pants. You'll also be offering up a daily competition, and you'll be delivering new tracks to players. How will that work? When you say daily, that's a lofty goal - how long will you be able to deliver that kind of content? The Online Runs work like this: there’s a bank of special tracks, a few of which unlock each day, giving everyone a limited amount of time to score as highly as possible on those set tracks. You compete against the whole world on the Leader Boards, trying to get the best possible score. Alternately you can view just your friends' score in a Friends League, which keeps the competition local and fun. So it’s like Leaderboard-based, asynchronous online multiplayer. But we also have Party Rally mode, which is local multiplayer. Think of it as the classic multiplayer videogame experience – four madmen in a room, screaming and yelling at each other and flinging themselves at the TV until mom calls the fire department! RedLynx is no stranger to mobile platforms -- do you have any Nintendo 3DS projects in the works, or any interest in working with that hardware? Perhaps a Nintendo 3DS MotoHeroz on the eShop? You’re right we definitely have a long history in the mobile space, and we’d love to do something on a Nintendo handheld if the right fit came along. As a smaller developer though we only have so many teams, you just can’t do everything that everyone wants you to do! But we’ll see what happens, it would be a surprise if our partnership with Nintendo didn’t continue to bear more strange fruits... and vegetables.